Waiting on the outgoing tide for king salmon to Make there push up the river. Picking up a few sockeye salmon on the boat today. 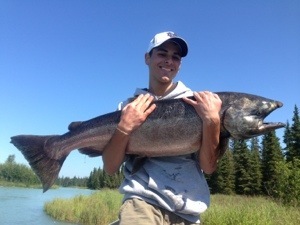 Bonus fish Call today to book a guided kasilof king salmon drift boat fishing trip lined up. The cost is 275.00 per person and large groups are welcome!